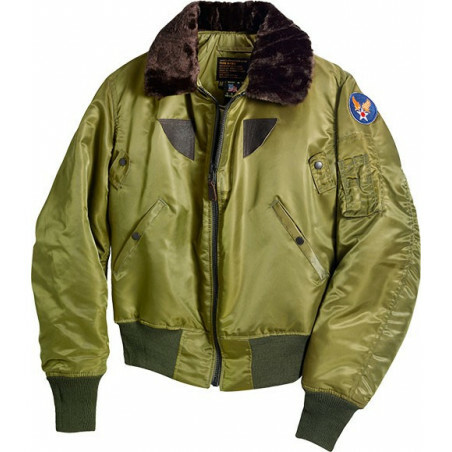 Authentic Flight Jackets from Cockpit USA There are 24 products. 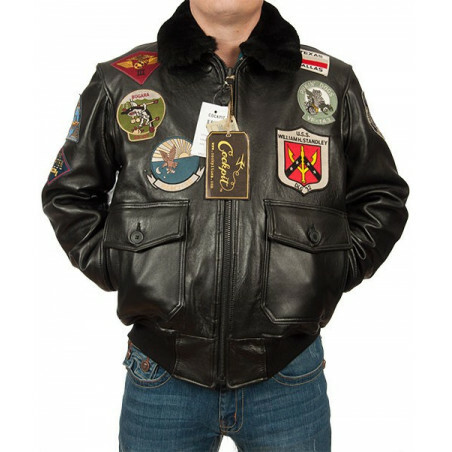 If you want to look like a real hero, shop for legendary jackets from Cockpit USA. Explore the legendary Cockpit USA A-2 Flight Jackets, Cockpit USA G-1 Bomber Jackets, Cockpit USA B-3 & Sheepskin Jackets, Cockpit USA Bomber Jackets, Cockpit USA Motorcycle Jackets, Cockpit USA Field Jackets & Cockpit USA Coats. The world-famous brand Cockpit USA has a long history. It began in 1975 when the founder of Cockpit USA aviator Jeff Klayman offered to create flight jackets of the Second World War. During the war Jeff's father was a fighter pilot. Klayman himself was a passionate collector of airplanes. Who knew better than him everything about the clothes of pilots? The aura of flying in the sky, the pilots way of life is special, which Jeff Klayman wanted to reproduce to the whole world. In 1979 there was the first show of the leather clothes Cockpit USA in New York. In 1986 firstly the jacket was presented in movie 'Top Gun' with Tom Cruise. In 1984, the company created a flight jacket A-2 for the movie 'The Right Stuff'. 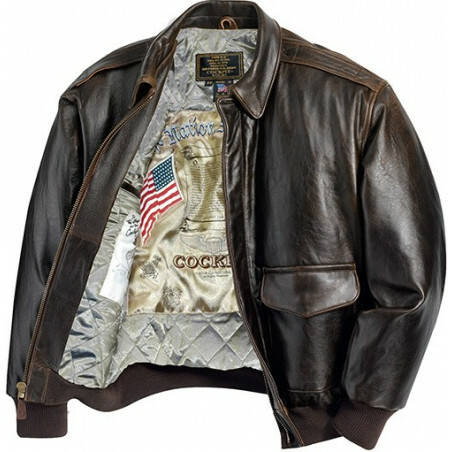 Today Cockpit USA is a global brand, offers you impressive Men’s Jackets & legendary Women’s Clothing. Trying to save the American heritage and way of life, the company refers to the traditions of the '40s,'50s, '60s, when clothes were made of the finest materials and had all the necessary features. Nowadays Cockpit USA creates modern clothes made of denim, textile, manufactures footwear, accessories and clothing for children. But the main pride of the company is still legendary leather flight jacket. Shop with us and we promise you that you will not need a plane... Buy now at the clothingmonster.com!